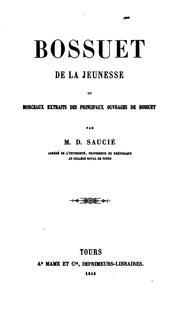 De la Connaissance de Dieu et de soimême: on y a joint sa lettre au Pape Innocent XI sur l'éducation du Dauphine. 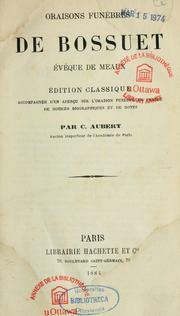 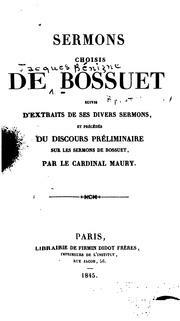 Select sermons: translated from the French of Bossuet, ... To which is prefixed An essay on the eloquence of the pulpit in England. 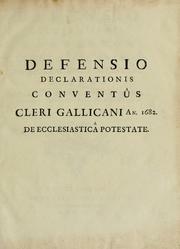 An exposition of the doctrine of the Catholic Church in matters of controversy: faithfully translated into English. 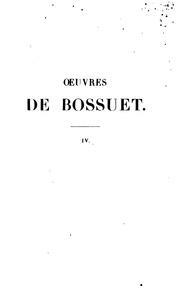 The funeral orations of Bossuet: pronounced at the interment of Henrietta, Duchess of Orleans, and Louis of Bourbon, Prince of Condé. 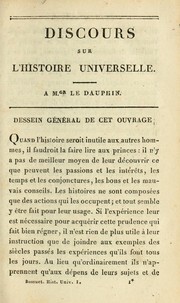 Translated from the French. 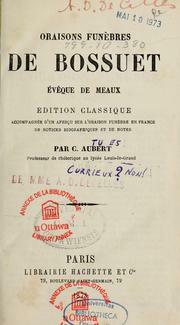 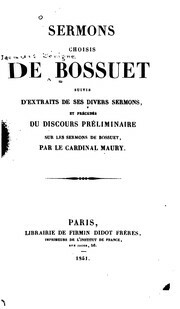 To which are prefixed, biographical sketches ... and observations on the other orations of the Bishop of Meaux; with select extracts. 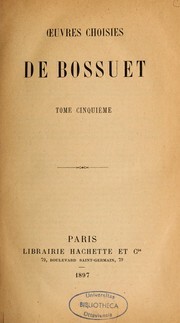 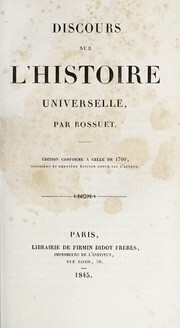 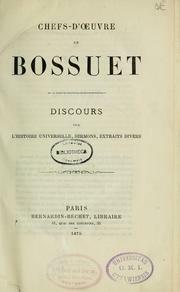 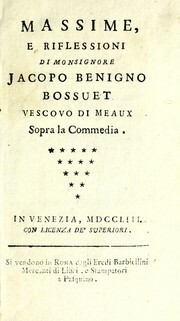 Oeuvres posthumes de messire Jacques-Benigne Bossuet, évêque de Meaux ..: pour servir de supplément aux dix-sept volumes de ses ouvrages, ci-devant publiés in 4.